You may be missing more than a few holes in your skincare regimen, or possibly using skincare formulations that aren’t suitable for your skin type. If using bar soap or body cleansers, these need to be replaced with a facial cleanser, stat. Body soaps have a different pH level than facial skin, as the skin on the rest of your body is slightly more alkaline than your face. The result? An unbalanced pH level that creates the perfect breeding ground for acne. There is no one-size-fits-all solution for acne, but it is quite possible you are experiencing a buildup of bacteria and excess sebum that aren’t being properly cleansed from your skin. You may be missing more than a few holes in your skincare regimen, or possible using skincare formulations that aren’t suitable for your skin type. The best facial cleanser for you: Cosrx Low Ph Good Morning Gel Cleanser. Most cleansers have a high pH level (more alkaline), creating a breeding ground for bacteria. Your skin is slightly acidic, so this cleanser is a great way to control breakouts without drying your skin out. 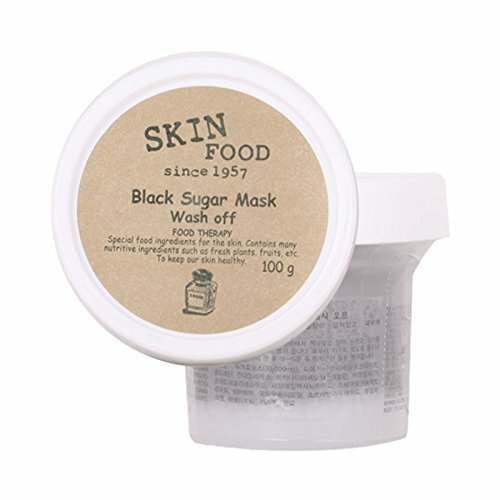 It also works well for dry skin.
. Black sugar contains glycolic acid, which can penetrate deeply into the skin and break apart the outermost skin cells. This derivative of alpha hydroxy acid makes this product not just a scrub, but a chemical exfoliant too. This product is great multitasker for those who want to physically unearth clogged pores while lightening dark spots. How to use: Dampen your face and massage a small scoop of scrub into the face for 2 minutes. After scrubbing, leave on for 10-15 minutes and wash off. Exfoliate 1-2 times a week, or as needed. Depending on the type of exfoliant, you may not need to exfoliate daily. It’s encouraged to exfoliate no more than once a week, but over the years many new products have developed that allow gentle exfoliating benefits safe for daily use. As a general rule of thumb, if you find your skin growing more dry, sensitive, or even extremely oily, you may be exfoliating too frequently. Give your skin a few days to recuperate in between exfoliating treatments. For my oily skin, I like using a detoxifying mask to ensure a thorough pore cleanse right after exfoliation. If you’re suffering from breakouts or congested skin, this is the best time to do a treatment mask since the entrance of the pores are more exposed after exfoliating. Clay-based masks can also be very drying if used often, so sometimes it’s okay to skip this step if you’re in need of hydration. The best toner for you: Etude House 10-in-1 House Wonder Pore Freshener. The reviews aren’t high for no reason! This toner is great for removing any excess dirt and mattifying the skin. Serums are basically leave-in products supercharged with active ingredients. Depending on your type of skin and the time of day, you’ll have different needs.
. It is very mattifying and helps prevent that inevitable shiny T-zone I tend to get midday. How to use: Apply a pea-sized amount of serum or essence to entire face, ensuring that the face is completely dry before proceeding to the next step. For those who have oilier skin, a gel is optimal. Gel moisturizers tend to contain glycerin, a humectant that helps moisturize the skin without weighing it down. comes in a huge jar the size of a hair gel jar, making the $8.79 price tag very reasonable. For those who have heavily oily skin, I definitely recommend this mattifying moisturizer. My boyfriend has been using it for several months now and I’ve noticed that the high aloe content calms down the redness and inflammation in his breakouts. is a very lightweight sunscreen that feels as thin as an essence. It dries to a matte finish, and I absolutely love this because it’s hard to find a sunscreen that doesn’t feel greasy or look shiny. Not only is the texture lightweight, but it has a huge amount of SPF and PA. SPF only protects from UVB rays, whereas PA protects from UVA rays. And you see those +’s? That’s actually a PA ranking: the more +’s the better. Just like SPF’s number: the higher, the better.